One of Minnesota’s largest grape growers, Round Lake Vineyards, is about to open an ambitious new winery operation producing a full roster of estate grown wines. 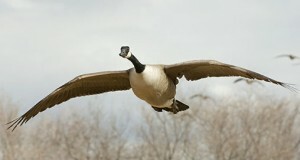 Round Lake’s “Grand Opening” weekend starts on June 5th and runs from Friday to Sunday. 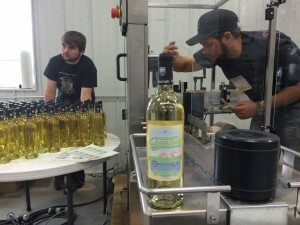 Winemaker Sam Jennings makes final adjustments to the labeler as Logan Ellenbecker puts bottles on the conveyor belt. The first bottle labeled is Crusin’ White, which is a blend of Brianna and Edelweiss. While the winery is new, the berries that begot the winery have been in the ground for as long as six years. Round Lake co-owners, husband and wife Scott and Jenny Ellenbecker, run one of the largest and most established cold hardy vineyards in Minnesota. The Ellenbecker’s started growing grapes in Southern Minnesota during 2009. Until recently, they were selling their fruit to other regional wineries, including Minnesota’s nationally award-winning Carlos Creek Winery. Now Round Lake’s 16 acre vineyard will be used to supply the grapes for the winery’s estate grown wines. Those who travel to the winery, which about 75 miles east of Sioux Falls, can check out the vineyard, but they will mainly want to see the unveiling of the new winery with 5,000 square feet of event space and a new barrel room. The barrel room is connected to the event center by an indoor walkway. The event center also features a brand new catering kitchen. Major landscaping, including the addition of a walking bridge that crosses a small stream in front of the tasting room, will be completed by the Grand Opening. 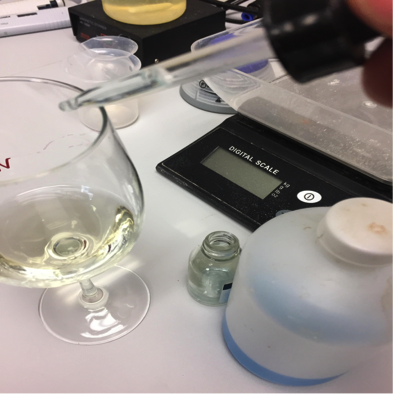 When Midwest Wine Press spoke recently with Scott, Jenny and new winemaker Sam Jennings, they said the big capital investment will create a winery with production of 3,500 cases per year. Starting a winery can be a herculean task, so many Midwest wineries begin small and gradually expand. But the Ellenbeckers have a head start as a result of their producing vineyard and another complimentary business; Ellenbecker Communications, an ad agency that produces in-house magazines for companies. For wineries, marketing can be just as important as making wine and growing grapes. That’s why many in the industry are excited to see the unveiling of Round Lake’s new label design. While the owners won’t say exactly what’s on the new labels, the history of the winery provides a hint. Just like Giant Canada Geese are adapted to survive Minnesota winters, so are the grapes that Round Lake uses to make their wines. Fruit bearing cultivars include cold hardy Frontenac Gris, St. Pepin, Brianna, Petite Amis, Louise Swenson and Marquette. 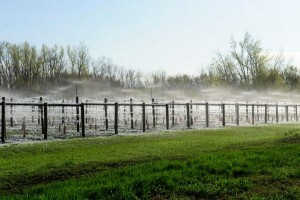 Of the 27 acres of vineyards managed by Round Lake Vineyards, the 18 estate acres have an overhead sprinkler to protect from frost. The Ellenbeckers already have two acres of Marquette and are planting two more. Growing this University of Minnesota grape on vertical shoot position trellises and constant pruning are important, according to the Scott. The vineyard soil is extremely fertile, so leaf thinning is a must too. “We try to grow grapes like they do in Washington and California; we give our fruit as much sun exposure as possible,” Scott said. He reports that demand for Marquette grapes is increasing. “Last year, you could get a dollar a pound for Marquette grapes, I’ve heard that in Iowa you can get up to $1,500 a ton,” Scott said. Wine drinkers like the character that comes from Marquette’s Pinot Noir lineage. But the grape can be somewhat susceptible to winter damage. For better rejuvenation, Round Lake employs cane pruning which keeps more buds in case some don’t survive the arctic blasts common to this part of the upper Midwest. In addition to their own vineyards, the Ellenbeckers also lease nine acres of grapes. 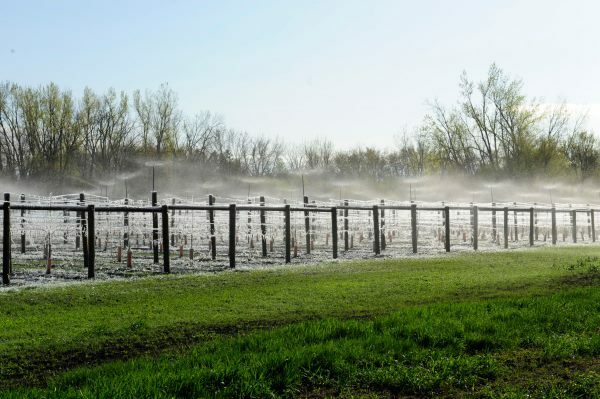 This brings their total acreage up to 27 acres, making Round Lake one of the largest grapegrowers in Minnesota. Picking that many grapes by hand is not practical, so Round Lake bought a mechanical harvester during May. Sam Jennings, Round Lake’s new winemaker, is a West Coast transplant. He most recently worked for Preston Vineyards in Heraldsburg California. His new Minnesota winery has 15 wines, which Jennings admits is a lot. “But we have something for everyone, even the Bud Light drinker,” he said. For example, Sam describes the “Skinny Dipping” line of wines as “fun” fruit wines. One fruit wine is an apple cider wine made with apples from a local orchard. Another is a combination of passion fruit and pears. While Minnesota might not yet be associated with “wine country,” the land of the Giant Canada Goose has some of the most interesting wineries in the country where you can experience the new American viticulture firsthand. Homepage photo: Sunrise on the first day of harvest at Round Lake Vineyards in Round Lake, Minnesota, 43.5 degrees north latitude.